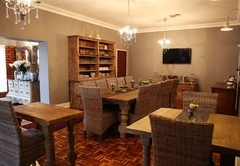 Pecanwood Manor is an Upington Bed & Breakfast providing accommodation in 7 guest rooms for tourists visiting the Green Kalahari region. 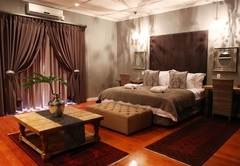 Situated on the skirts of a pecan wood plantation in Upington, Pecanwood Manor offers bed and breakfast accommodation in seven rooms. 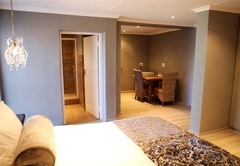 Attractions in and around the area include the Witsand Nature Reserve, the Upington Golf Club and Augrabies Falls National Park. 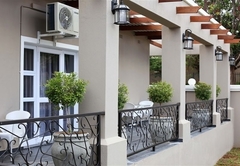 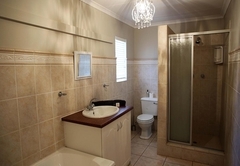 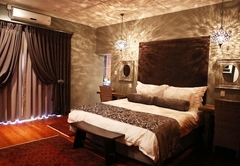 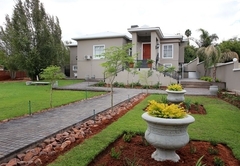 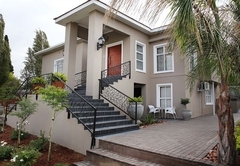 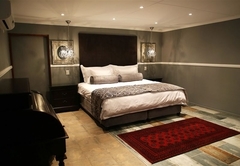 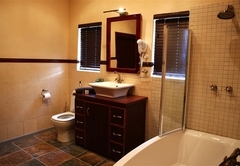 Each room has a TV with DStv, tea / coffee making facilities, a balcony / patio and garden views. 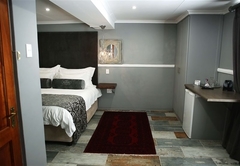 They are air conditioned and have a bar fridge. 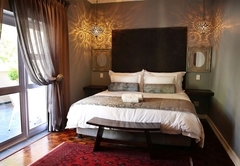 Each luxurious room is fitted with a king-size bed, Persian rugs, Egyptian Cotton Percale Linen, en-suite bathroom, private entrance and all the extras. 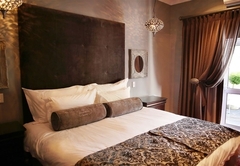 Response timePecanwood Manor typically responds to requests in 5-10 minutes.